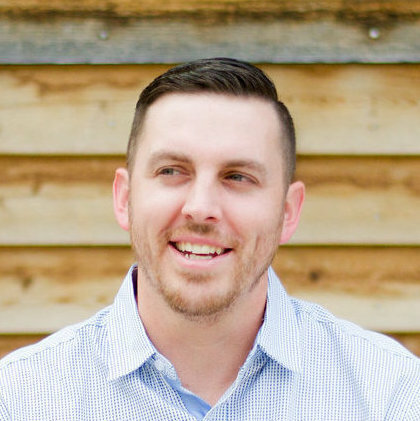 In today's Agent Insights - Dustin Brohm - a Salt Lake City Realtor, shares how becoming an Uber driver ended up helping his Real Estate business. Would you be interested to learn how to actually get paid to network and build your list of business contacts? At first glance, it probably sounds absurd. Can driving for Uber really help you get more real estate business? (Spoiler alert: YES!) Honestly, I was skeptical too when one of my mentors in business recommended that I drive for Uber to grow my business and get more leads, and make some extra cash at the same time. Once he explained why, it actually made a lot of sense. Just think about what an Uber driver does… they get paid to drive around and talk to new people all day, all while getting to know their city much more intimately. Of course knowing your city is invaluable for a Realtor. So I got signed up to drive for Uber using someone’s referral link. About a week later, after a background check and an easy, basic car inspection, I was on the road, getting paid to drive around my city and network with some pretty awesome people. Now let me make this crystal clear up front: I am absolutely NOT telling you to openly and overtly solicit your services to your Uber riders. That is 100% wrong, and violates Uber's policies, and will just turn people off to you as a person. No one likes to be pitched within minutes of meeting someone. This is all about putting yourself in a position where you can meet more people, and have great conversations with them about life, your city, the weather, and naturally, what else you do for a living besides Uber. If you are a Real estate agent, mortgage loan officer, or insurance salesman who is trying to build your business, you should seriously consider driving for Uber. Not only will you make all sorts of great, valuable business connections, but you’ll get paid to do it! Uber pays its drivers every week via direct deposit. Not a bad deal! On top of that, make sure you take advantage of this $100 – $300 Uber driver bonus just by using this special link to enroll. which is automatically paid out once you complete as few as 20 rides. Easy peazy. (that’s honestly the first time I’ve ever used the phrase “easy peazy”, and I’m kind of weirded out). Since I started driving for Uber I have networked and had great conversations with dozens and dozens of people who are either in the market for buying a home in my city, or know someone who is. In addition, I now know dozens of other business professionals to add to my contact database. Some have helped share my real estate blog articles from my blog on social media, and some have been other Realtors from around the country that are now my referral partners. Please understand though, you should NEVER make it a goal to pitch everyone who gets in your car. It must be a natural conversation or you will piss people off, and get yourself kicked off the Uber platform. I am not advocating that you give business cards to ALL your riders. That would be ridiculous, weird, unnatural, and you’d be seen as the pushy salesman. That’s an example of exactly what not to do. Also, please understand that this is playing the long game. You may get lucky and get a new client on the spot, but most likely you need build a relationship first. This is not a “get real estate leads TODAY” thing. If that’s what you’re looking to do, you need to either go door knocking, or run highly targeted Facebook ads or drop $1000 into Google AdWords. This is all about building relationships over time. Driving for Uber is like mixing the newest industry disruptive technology with good old fashioned networking. We all know that networking regularly builds businesses, regardless your profession. Networking will always be a surefire way to build a business and get more clients. Networking is timeless, and Uber will pay you to do it. Now pay attention, this is very important. Just like any other forms of networking, you NEVER want to treat people like a prospect or potential client. That’s a guaranteed way to turn people away, and get you a poor Uber driver rating which can get you kicked off the platform. You don’t think Uber wants it’s drivers giving sales pitches to their riders, do you? Of course not. DO NOT give out your business card to everyone! Have some biz cards handy, but only give them out if it seems natural to do so. The key here is really quite simple; strike up casual conversations with those you are driving. 95% of them are super friendly and eager to talk. They’ll usually always ask you what else you do besides driving for Uber. Ask about them first, find out what they do for a living and if they are visiting your city, find out why. They will almost always open the door for you to talk about what you do. Make sure you have a small stack of business cards with you when you’re driving for Uber, but be careful and tactful about how and when you give them out. I have found that the best way is to ask them for their business card first, and tell them you’d “love to stay in touch. It was great meeting you today.” This creates a natural, casual opportunity to quickly exchange business cards. I DO NOT recommend doing it any other way, or you risk making it weird and unnatural, which are not good when networking. Just be yourself, be friendly and genuinely curious about them and 95% of the time they’ll be genuinely be interested in you as well. About the Author: Dustin is passionate about Real Estate, marketing, and smart home techonology. For more the original post and more from Dustin, visit his blog at Search Salt Lake. Not Ready to Become an Uber Driver, But Still Need More Real Estate Leads?